Never Lose your Iphone with the iHangy! 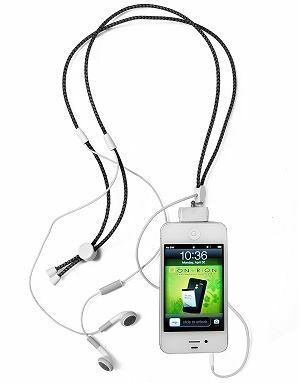 Check out our Newest PRODUCT: The iHangy! ihangy with touch pen accomplishes the seemingly impossible! It enables iPhone addicts to stay attached to their Apple device even longer than they already are. By securing around their neck or clipping to their clothing / accessories, ihangy ensures that the world’s millions of iPhone users never misplace their can’t-live-without-it smartphone again. The ihangy keeps iPhones within hands’ reach at all times. And with its built-in touch pen, ihangy owners can get the most out of their iPhone addiction wherever they are, whenever they want. ihangy is a versatile all-in-one solution for all iPhone models, including the newer 4S and 4 as well as the earlier 3S and 3G generations. It’s even compatible with iPods. FOR WHOLESALE INFORMATION OR TO GET THE iHANGY ITEMS INTO YOUR STORE, CONTACT US AT DREAMSHOPLIVE@GMAIL.COM! New LiveWire Energy Chews, 6 hours of Energy in 1 Chew!